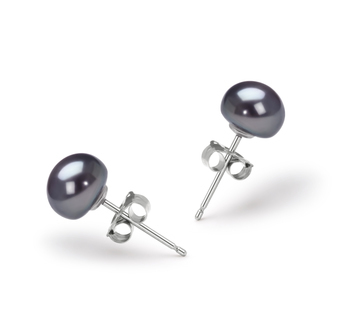 Diamonds and gold are said to go along way with the ladies and this earring set should be along those same lines. 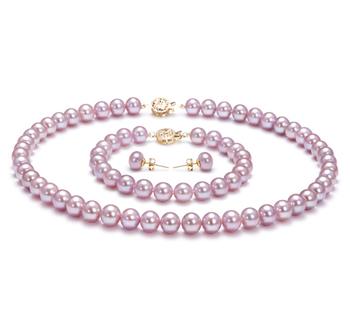 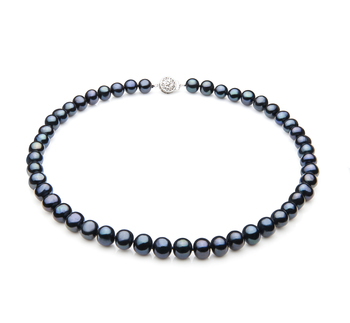 The beauty of a 12-13mm South Sea Gold Pearl is simply astonishing. 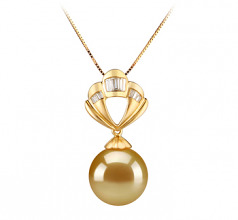 The pendant is 14K yellow gold and features 12 sparkling diamonds (.108 ct) setting atop their lovely golden seashell. 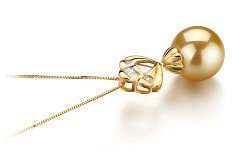 The pendant holds the large golden pearl at its base with a lovely cap. 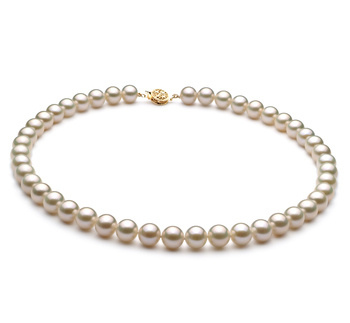 The South Sea Gold Pearl features a AAAA perfectly round and smooth shape that blends equally as well with the mirror like AAAA luster. The sparking nature of a perfect luster and a perfectly round pearl work perfectly the 14K yellow gold pendant and 17 innecklace and Gold Pearl. 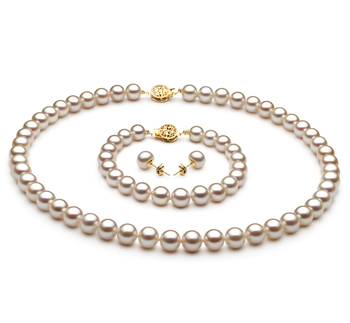 There couldn’t be a better union thank gold, diamond, more gold pearls and then a little more gold. 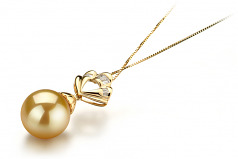 Show only for "Helena Pendant"